You will probably agree that right out from the box your DJI Phantom 4 is already a good flying camera. Having the ability to shoot 4K drone footage or video as well as having the ability to do slow motion is great. 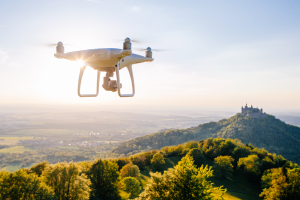 Having the ability to do it from the air is even better and those are some of numerous reasons we believe the DJI Phantom 4 is the best drone available on the market. At least in the consumer segment. If you are still attempting to make a decision whether the Phantom 4 is for you, you can find our Phantom 4 review here. That said though, there are several things we may do to make certain the quality of our shooting remains good or to improve it. Read on and well tell you exactly what we may do. The lens – Firstly, we’ll start with the obvious. Ensure that your cameras lens is clean. Fingerprints, dust, dried up water specks, etc. They’ll all degrade the quality of the footage. To clean the lens prefer Zeiss Lens cleaner. In the end, Zeiss knows lenses so it is sensible they also know how to clean them. When were on the go well frequently bring some Zeiss pre moistened lens cleaning wipes instead. They’re smaller and much more convenient to carry around. And if you do indeed prefer another brand please share it with us in the comments so we may try it out. Next, after your done flying put the lens cap back on the lens. This may prevent dust collecting on the lens while you are not utilizing your Phantom. The lens cap will also protect the lens from getting scratched during packing, transport and while in storage. Lens caps are rather easy to misplace so if you’ve lost your lens cap you may get a replacement lens cap for just a number of dollars. We see no reason to skimp on something this inexpensive to help shield your investment. If you wish to know precisely how we clean our lenses, read this article: The way to properly clean your drone lens. Video look. The next thing well want to do is to decide if we want a more film look or a sharper\/more crisp look. To attain the more cinematic look well set the camera to film at 24 fps in 4k. Whenever you know you will always be watching the drone footage at 16: 9 you can choose 24 fps in UHD instead. This may prevent the letterbox effect that you’ll get when watching 4k footage on a 16: 9 screen. If you would like your footage to have a soap series look as opposed to a cinematic look, shoot at 30 fps in UHD instead. Those are the default frame rates. Previous Previous post: Which drone to choose for professional drone footages?